Last weeks seeds of speckled lettuce and rainbow carrot are now tiny seedlings emerging from the soil. The chilacayote seeds are also coming out in their newspaper pots. The tomato seedlings planted into recycled tubs have established themselves and are growing nicely. One is already flowering. The Madagascar beans are emerging. Slugs or snails appear to have claimed some of the new bean seedlings. The second babaco has kept the majority of its fruit. I just need to keep the water up to it. The other is not really doing much it seems. Fruit has not appeared to grow any larger and shows no sign of ripening as yet. It has been on the tree for some months now. Will have to look up older posts to see when it began flowering. March 2011 was the date I had first logged that the babaco were flowering. So that is well over 8 months that the fruit has been forming on that particular tree. Given that the second tree flowered a month or so ago it will be interesting to note when its fruit ripen. The chooks are doing well. Stella, Clarice and Penny are all laying daily. Now and then one will miss a day. 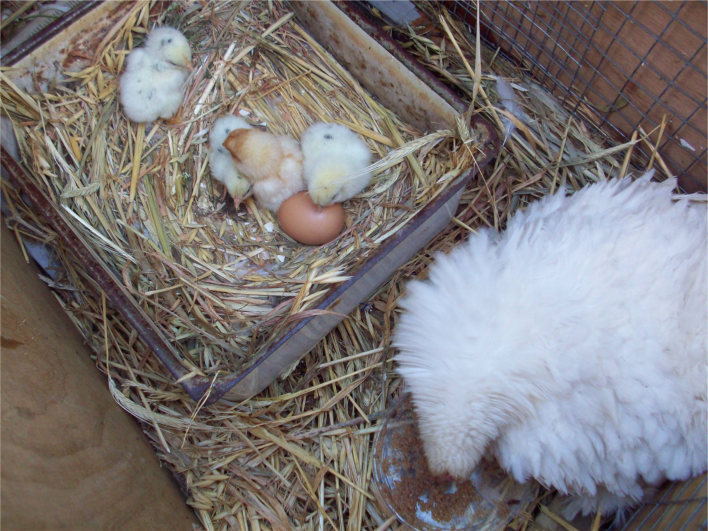 Jennifer Aniston has successfully hatched 4 out of 5 eggs so far and is doing a wonderful job as a first time mother. Penny having a dust bath and a lay in the sun. Since changing the pump on the aquaponics system I have still had to tinker with things a little. 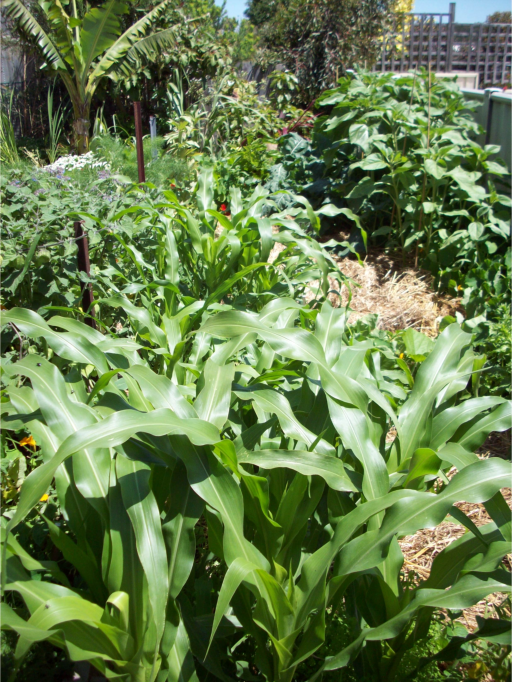 At the moment it is filling the grow beds too fast and I need to remedy this. The goldfish are doing well and more are changing colour to yellows and golds. I am feeding them more regularly now which is largely just a pinch or two of old oat flakes. The Redfin Perch in the other tank enjoy their earthworms and snails and slugs. I should really be feeding them more often so as to increase their size. Overall, more fish are needed for the system I think, to get the nutrient level increasing. Many of the seedlings in the grow beds will probably get moved out into the garden proper as there is more room for them now and their growth has been almost nil. The back garden is doing well and seems to grow in leaps and bounds each day. We are still receiving reasonable rain showers amongst sunny days which has been wonderful for the plants, the pests and the predators! The pond and strawberry aquaponics system is doing really well. Some plants have died, others are on their way to flourishing. After installing the second pond and the few days of heat we had, the pond filled with thick algae. As the system has been working and the pondweed has grown (and removed often to add to the compost of thrown into areas of the garden that are dry areas) the water has naturally cleared to a lovely, crystal clear, fresh water pond. The koi, when not hidden by pondweed also, are growing well and are not receiving supplemental food at this stage. The tomato and zucchini plants on the deck have been mulched with hay, ready for the easterly winds in the next few months. 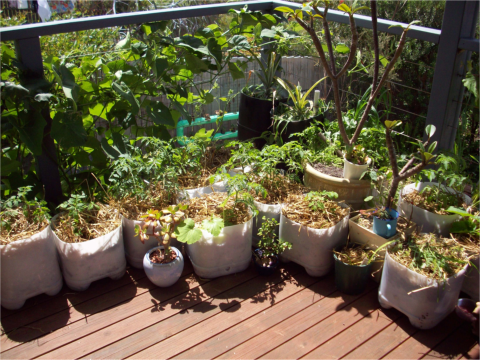 This is a collection of seedlings that have come from various sources to be used for saving seeds. Some have come up in the garden from last years crop and will be used for summer salads and cooking where saving the seeds is not important given the plants history. 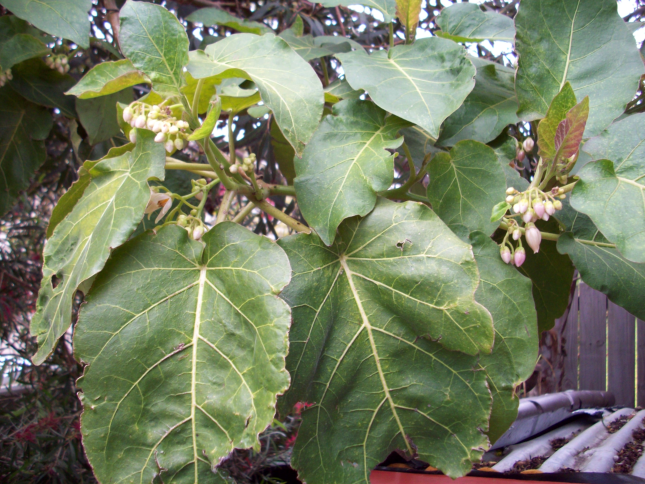 The tamarillo are both flowering. 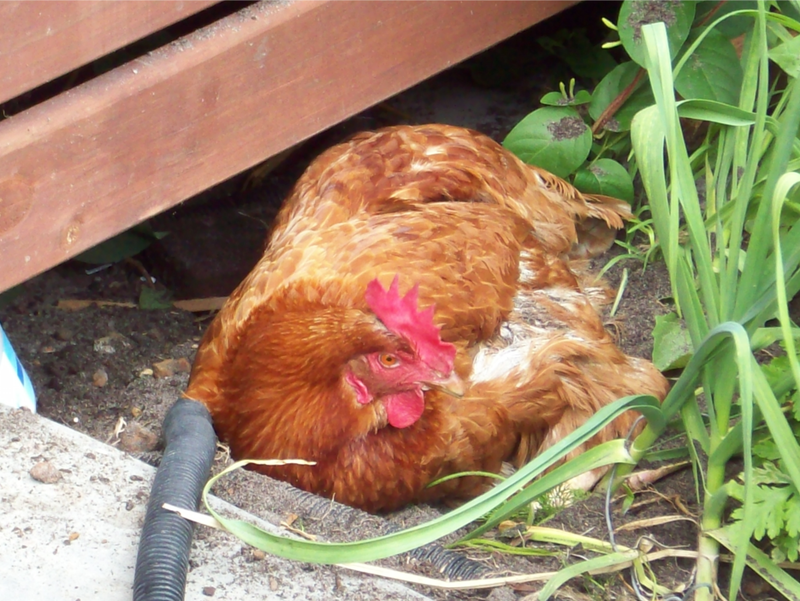 The one in the chook run is covered in flowers. To help it through the summer I have placed a compost bin near its base so that the chickens don’t scratch up its fine roots and it gets plenty of slow release nutrients and sustained moisture through the summer. The fruit should be ready by autumn.